Lincolnshire Police are appealing for the public’s help in identifying a man caught on CCTV. 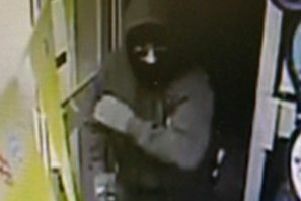 In the early hours of Tuesday morning (March 27), a man described as white and in his late 20s reportedly broke into the NISA store on the High Street, Coningsby by kicking the glass, and using a hammer to break in. Whilst inside, the man attempted to open the cigarette display but failed, and left with a selection of alcohol. Lincolnshire Police are appealing for any witnesses to this incident, or to anyone who recognises the man in the picture. If you can assist police with their enquiries, email force.control@incs.pnn.police.uk with incident number 11 of 27 March in the subject box. You can also call 101, quoting incident 11 of 27 March, or call Crimestoppers anonymously on 0800 555 111.